Check back for more information on our next Togetherhood project! Thank you to everyone who participated in our Back to School Bash supply drive! We were able to hand out over 10 bookbags filled with supplies, as well as, notebooks, pencils, pens, crayons, and more! 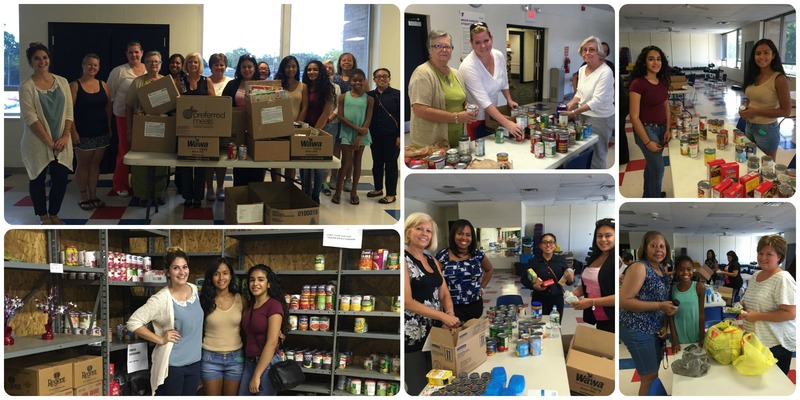 Thank you to everyone who participated in our Food Bank Project to benefit Impact Harvest. Through donations made by our members and community, we were able to donate 348lbs of food, the largest ever donation to Impact Harvest! Thank you to everyone who donated supplies, or helped us pack, for our first Togetherhood project! We were able to fill 15 boxes to send to soliders!